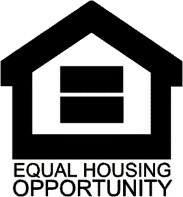 Funded through the Department of Employment and Economic Development (DEED), the Small Cities Program provides income based deferred grants to low to moderate income households living in substandard housing. The Small Cities Programs also encourages the improvement of the general appearance and value of the housing stock, while making a visible and substantial improvement in the quality of life in the community. Small Cities Development Program funds are also available to commercial and rental property owners. This program can provide upgrades to properties, helping them meet code requirements and design standards. Small Cities’ grants require a match from the owner of the property. Most grants are written as a 70-80% grant funds and a 20-30% owner match for project funding. There is a maximum amount of funds that a project can receive as well. Prairie Five will assist in determining the match and other funding sources or options that may be available to fund the match requirement, if needed. Small Cities Development Program funds are awarded annually by DEED to communities that have submitted an application. Funds are only available in those communities and there will be target areas in the communities where the funds can be used.